As the 47CR nears completion ahead of her launch at the Southampton Boat Show, the design has been shortlisted in the European Yacht of the Year awards. The Spirit 47CR, the first build from the new Spirit Yachts cruising range, has been shortlisted in the ‘Special Yacht’ category in the European Yacht of the Year awards. Recognised for her point of difference compared to other cruising yachts on the market, the 47CR is a marriage of classic design and modern performance. On schedule to launch at the Southampton Boat Show from 16th – 25th September, the 47CR showcases smooth lines and increased volume for cruising or live aboard. Her impressive power to weight ratio also means the 47CR offers the option for competitive Spirit of Tradition racing. 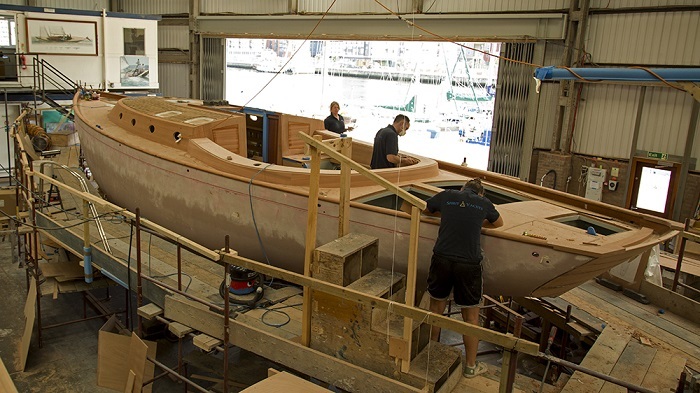 The team at Spirit is currently laying the final sections of teak deck and fitting the deck hardware. 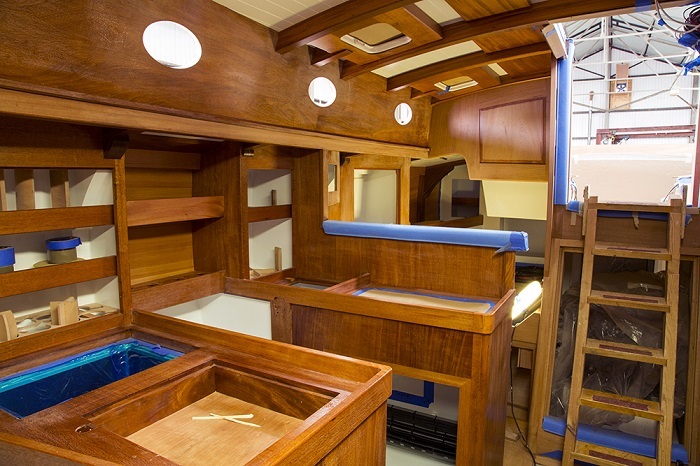 The last coats of Awlwood are being applied to perfect the finish on the interior and the hull is soon to be painted a ‘whisper grey’. In August, the 47CR is due to have her keel fitted and her mast stepped, ahead of test sails in Suffolk and delivery to the south coast for her world debut launch at the Southampton Boat Show. Judging for the European Yacht of the Year continues with test sails in the autumn before the winners are announced at the Dusseldorf Boat Show in January 2017.